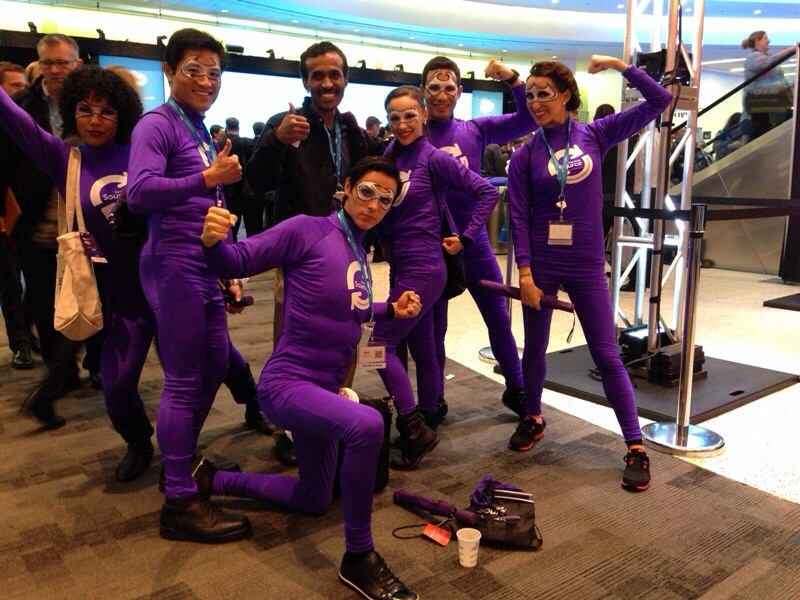 Dreamforce is Salesforce’s annual user and developer conference held in San Francisco. 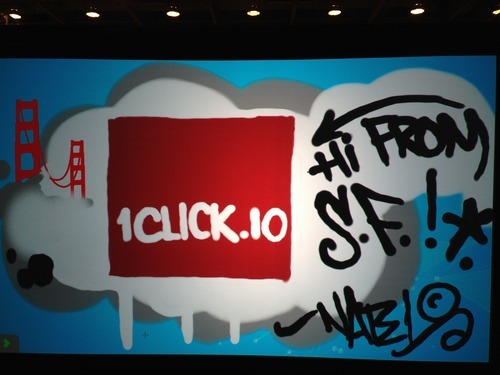 It is the biggest cloud computing event of the year where 1Click.io made its first appearance. Ram Bhoopalam, business strategist at 1Click.io was in San Francisco to attend this gala event. 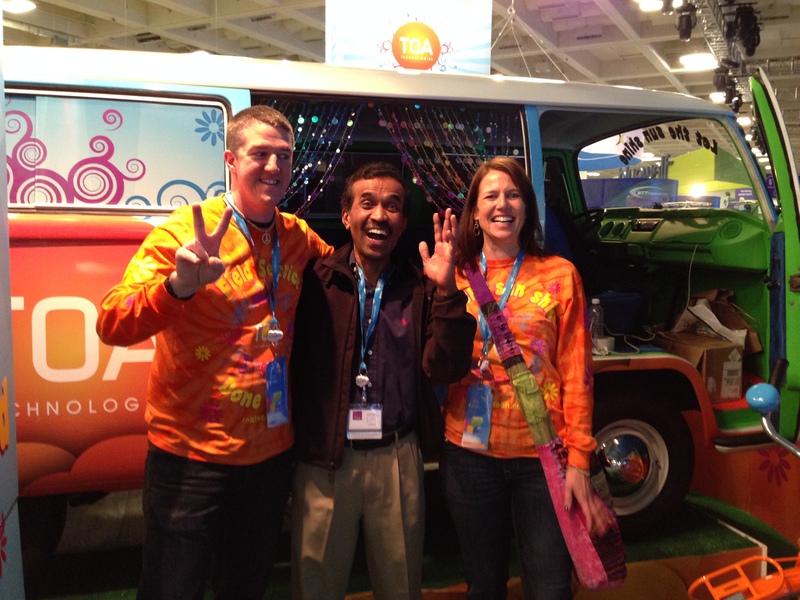 Here are a few pictures he captured at Dreamforce. They ran out of limousines to reach Dreamforce but Ram still made it! They heard about 1CLICK.io and are more excited about it than being on the beach! They want 1Click.io all for themselves and are ready to fight for it! Our brand new logo made into an awesome graffiti! 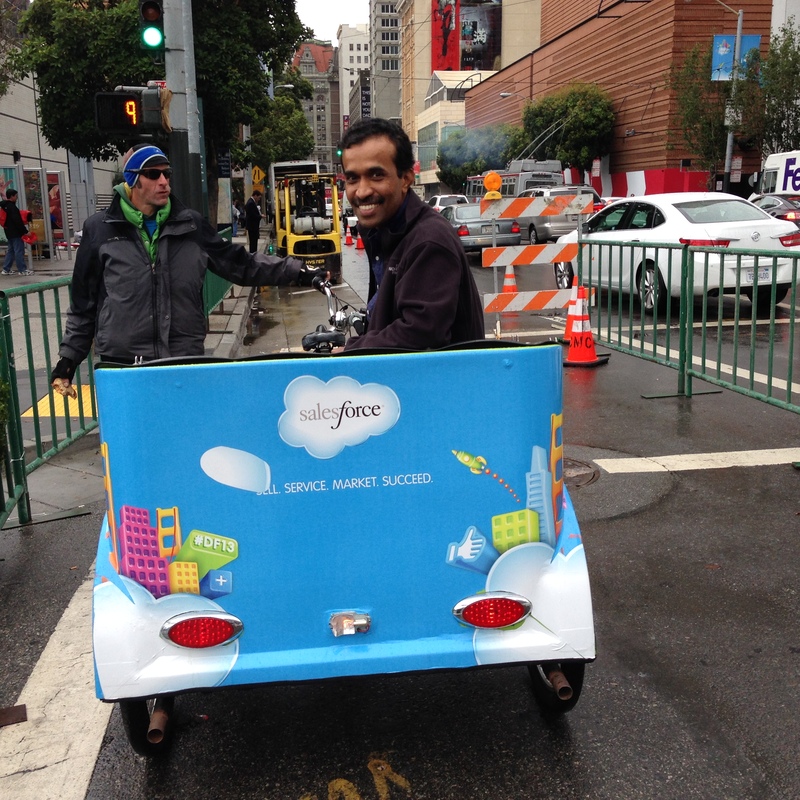 This entry was posted on November 29, 2013 by Shruti Diwan in Events and tagged 1Click at dreamforce, cloud computing, dreamforce, next generation, salesforce CRM, Technology.